The sacred requirements for foyer furniture are very practical and very space-saving. 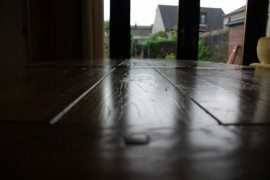 Since, especially in flats and traditional housing, these spaces are generally small and narrow, the beauty aspect of it is often neglected or turns second place. 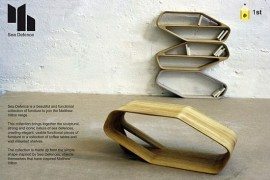 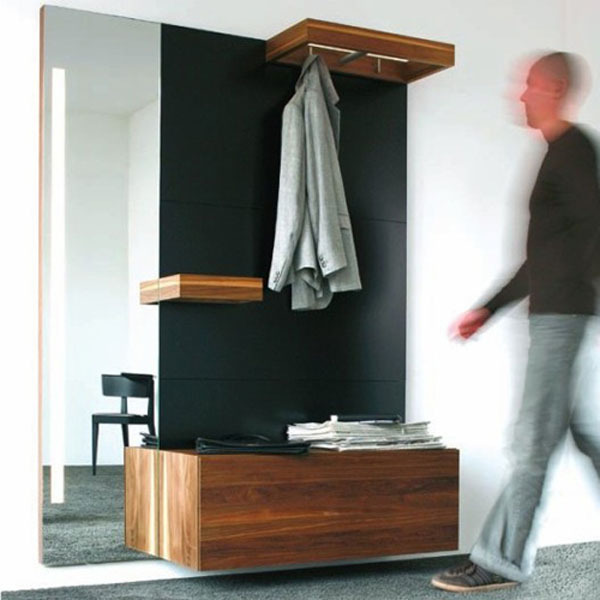 Sudbrock proposes a modern and functional solution to this aspect of interior design. 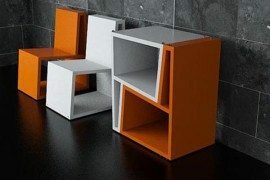 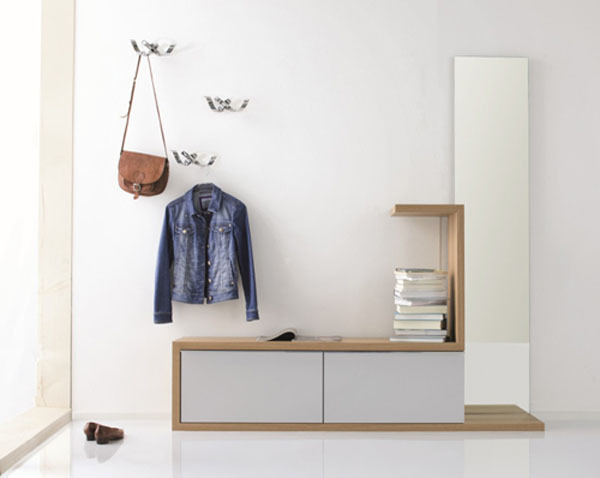 The Sudbrock foyer furniture sets are contemporary, sleek, practical, minimal and aesthetic through shape and choice of colours for the basic material, plywood. 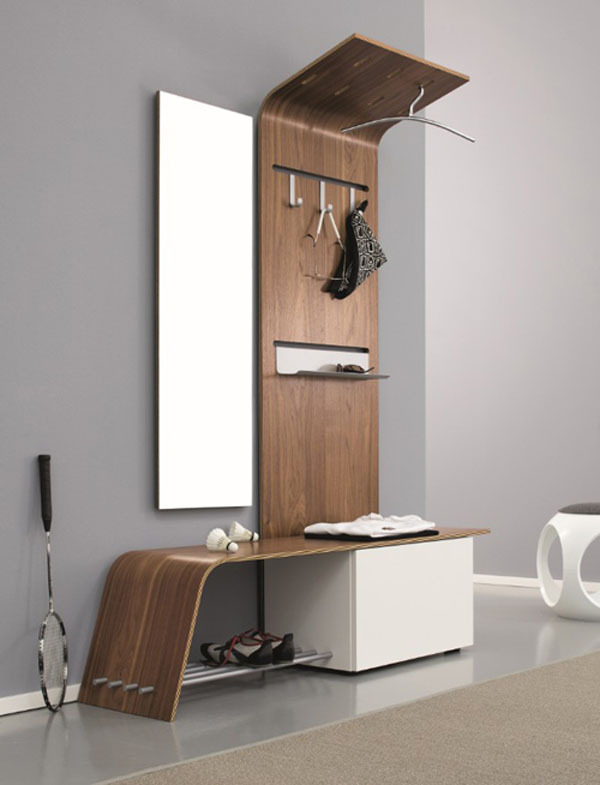 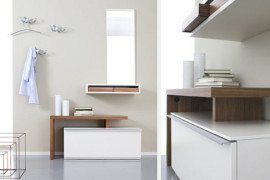 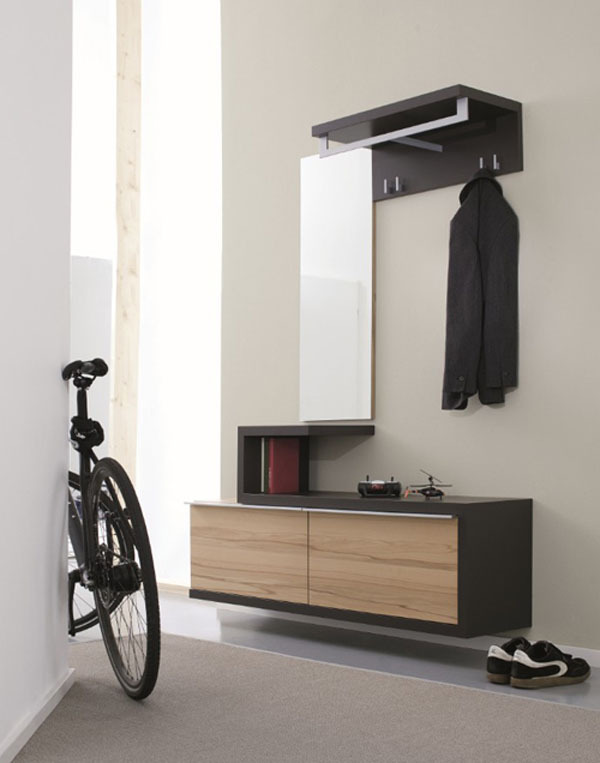 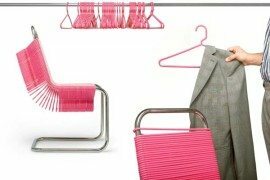 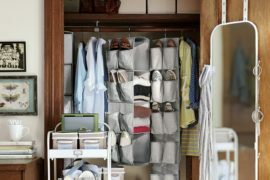 They all include the necessary elements of clothes’ rack, mirror, a handy surface and storage space, all custom combined in a minimalistic but appealing wall feature. 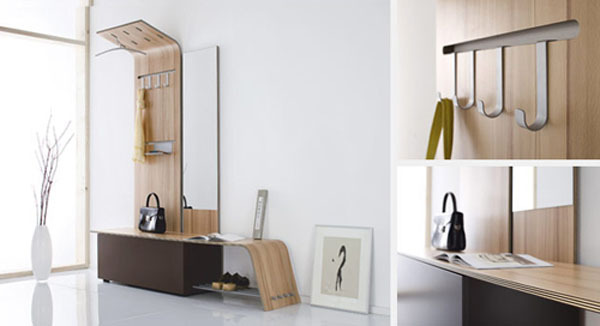 The sets were presented at the imm Cologne exhibit, including the Elli line with its slightly curved features and the masculine Sento+Select.